A few weeks ago our Bethany Bullet highlighted the reality that, “God is omniscient, omnipotent and omnipresent.” That means God knows all things, can do anything and is everywhere; the devil is none of those things! Today we find out not only is the devil not omniscient, omnipotent, or omnipresent he isn’t even “omnivaliant”; that word I made up. However that word (omnivaliant) does reveal a truth James proclaims which decrees - the devil is not so brave that there is nothing that can cause him to retreat. In fact, there is something that can make the devil FLEE. The very word, FLEE (that James uses) means to run in the other direction, to make haste, and depart from what is before. Same word is used by the other Apostles about the Christian who is to FLEE immorality, temptation, and evil desires. The word doesn’t simply indicate avoidance; it carries with it the resonance of escaping certain doom. There is something that can make the devil FLEE! The Gospel reading for the 16th Sunday after Pentecost portrays that it isn’t the presence, performance, or power of the disciples. (Mark 9:14-29) *Click on the text to read the scripture passage. Remember the temptation in the wilderness? I do not believe that it is a coincident that the devil leaves Jesus in the wilderness of temptation after the topic of worship arises. Mind you, the Lord allows the devil to tempt Him. This is part of Jesus’ state of humiliation. Jesus humbles Himself and identifies Himself with us and, in so doing; He also renounces fully; using all the power He possesses all of the time. He is God, God in human flesh; True God and True Man, perfect God and perfect man in ONE person. He is the uncreated Creator; the devil, crafty and cunning, and capable as he is, he is still a creature. And the Lord enters temptation wilderness willingly. He draws near to that barren place where He knows the serpent is slithering. “Turn rocks to bread, jump and we’ll see if you’re dead.” The Lord refuses to heed either; but it is when the devil asks Jesus for his allegiance that we need to hear what the Christ says, “Worship the Lord and serve Him only; away from me you evil one.” Jesus has been fasting, and suddenly speaks of feasting; He has been alone but now talks of worship and walks into His Father’s presence. It is as Jesus draws near to the heart of God, He that commands the devil to go, and go he does. Where God draws near, the devil doesn’t want to be there. One of the primary reasons that the Bethany Blueprint identifies worship as one of our core values…is in God’s House, in worship, through Word and Sacrament and the assemblage of His people gathered round the same – our Lord promises to be present in a way He is present nowhere else. God has promised that in worship He is present in power and pity for His people. Worship is the one place where more than any other we can draw near to the God who has already drawn near to us in Jesus of Nazareth. In worship, the Christ who came globally for all comes personally to you. V Our Lord comes to us as nowhere else and when God comes near, the devil doesn’t want to be there. Yesterday in worship our ‘Children’s Message’ involved a blessing of backpacks and more importantly a blessing of backpack bearers. I for one am very glad I no longer need to lug around a backpack. In all honesty I’m not sure that mine were ever as heavy as the ones I’ve seen my kids (and yours) wearing on their way to class each morning. Perhaps that is because school is more strenuous or could it be that I was less studious? Whichever the case, the truth is we’ve all seen our children, grandchildren, or ourselves fighting to bear up under the weight of a stuffed backpack. In fact, many of us who’ve been out of school for years picked one up every morning. Somewhere between the first step on the floor and the last step out the door we grab a pack, get it loaded up, and get ourselves loaded down. A backpack of burdens, a duffle-bag of doubts, weighed down by worries, or lugging around loneliness we’ve got grief tucked under here and fear tucked under there and we are weighed down. Yet, in Christ, we hear God say, “Come to me, all you who are weary and carry heavy burdens and I will give you rest.” (Matthew 11:28) There are two things in here for us to unpack! Two realities in our text that we need to digest if we are to find rest. First, God invites us to come to Him! In fact Bethany’s Parish Theme this year, “An Invitation to a Holy Conversation” is based upon this text where we learn that our Lord desires that we approach the Throne of Grace and find help for our time of need. God wants to engage us in conversation. Now you’re gonna read a dozen or so Bullets revolving around this theme – so let’s do a little ground work here. There is a world of difference between a conversation and a lecture or even a speech. There is more of a difference between a conversation, a monologue, and/or a diatribe than there is between how much information a backpack can hold and how much information an I-pad can hold. Conversation does not prohibit the possibility that one of those engaged therein might be “wrong” and another “right.” Nor does it mean that every opinion shared is equally valid or every thought is just as true. God was in conversation with Moses, but Moses’ words didn’t carry the same gravity as that of the One who created gravity. Yet, at the same time, conversation does mean that everyone engaged therein is equally welcomed to participate and everyone engaged therein is equally valued. God welcomes and values conversation with us and that begins today with the second item to unpack from our text, an honest admission that at times we fear or are at least tempted to fear that God must not be listening because He isn’t lightening our load enough. Abraham gently queried and finally boldly sought; God listened and “lightened”. All the while Sodom and Gomorrah were no more – Lot and his family was spared. The Lord we desires His people to come to Him, opened the way for Paul to do so. The Apostle to the Gentiles did just that and God listened with compassion and love to Paul’s plea to be set free, yet the thorn remained. Why? Paul said he believed it was to keep him from becoming conceited. Maybe you think you’re just being kept from being completed or contented or comfortable. But are you being ignored? Could it be, like the thorn bearing saint, the Lord has chosen to lighten your load by listening to you and letting you know that His all encompassing grace is yours and He will carry you even as you continue to bear said burden. If you look at the text closely, Jesus never promises to take away that which wearies or the burden that weighs but He promises to grant us rest. It may be His will, as in the case of Abraham, that our conversation ends with our weight being lifted as our request is answered as it was offered. It may be His will, as in the case of Paul, that our conversation ends with our request being met with an answer other than the one we desired, but our weight being lifted none-the-less as we are promised that He is with us and His is for us and that will do us! For His grace is sufficient for us. The book of Song of Songs is unique to scripture. It my mind it is like a Broadway Musical (but rated at least PG-13). We have the lovely song of the young woman, with a response from her true love. The chorus comes in on occasion to fill out the story. I love the point, counterpoint of the verses and the overarching theme of love. On the surface this book is all about young love. Going a bit deeper, there is another story at work. A frequent image in the Old Testament of the relationship between God and Israel is that of husband and wife. God loves his chosen bride, Israel and would do anything to keep that relationship in tact. God continues to care for Israel no matter what. But Israel is unfaithful. She goes off and does he own thing. She gets into trouble and turns her back on God. But God’s love is amazing. It continues to love in all circumstances. This theme will be played out in the book of Hosea as well. This relationship is also seen in how Jesus relates to his bride the church. When all is going well, love abounds and beautiful music is made. But often times we, as the church, mess things up. We fall away and become unfaithful. The moral of all the stories is God is faithful no matter what. His love endures to the ends of the earth and conquers time and space. The book of the prophet Isaiah is considered by many Biblical scholars to be the theological textbook of the Old Testament. Many key doctrines and themes that form the foundation of faith and relationship to God are found within its pages. Martin Luther says that the, “chief and leading theme of all the prophets is their aim to keep the people in eager anticipation of the coming Christ.” Isaiah is an amazing book. Let me give you a few of my personal insights and some key themes this week. We will have plenty of time to talk about this most wonderful book. First of all Isaiah did not sit down and write the book in one sitting. This is more like a journal of the prophet and his dealings with God and the kingdom of Judah. The events take place over the entire life of the prophet. It is important to have this perspective when reading. There is a marked division in the book. 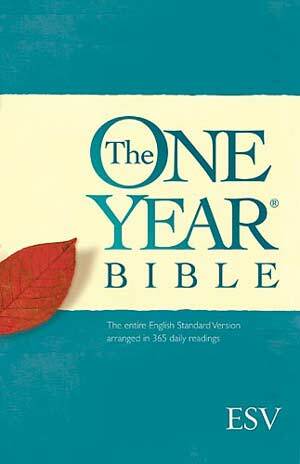 Chapters 1-39 are directed to the time of Isaiah. Chapters 40-66 are a vision of the future captivity in Babylon. The second part is filled with figurative language as Isaiah struggled to relate his visions to his contemporaries. 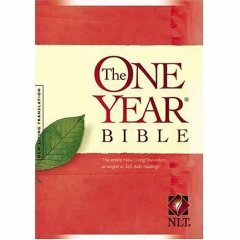 I find it interesting to note that there are 39 chapters in the first part and 27 chapters in the second part of Isaiah. Remember there are 39 books in the Old Testament and 27 in the New Testament. Pretty cool, huh?? Some have even called Isaiah “The Bible in Miniature”. Now I would not press the analogy too far but it does make one stop and think. One other thing of note is the mention of “The Holy One of Israel”. Most theologians agree that this term makes reference to the Messiah. This is the one who will deliver the people from oppression and bring about an eternal kingdom. When you come across this term, spend some time looking at the context and see if you can see Jesus there. I will have a lot more to say in the next few weeks. We will finish up 2 Corinthians this week, and what a finish. Paul gives some great instruction right at the end. One thing we have heard here at Bethany is the idea of “my stuff is not my stuff”. Paul tells the Corinthians just this same thing in Chapter 9. Giving to God comes from the heart. In chapter 10 Paul spends some time on boasting. He says that boasting about what has happened within the boundaries of the work of God is a good thing. We must rejoice in what God is doing, and we can boast in Him at all times. In Chapter 11 Paul gives his defense for being an apostle. Paul lays it all out on the line and asserts that his message is valid and useful. Paul’s over all theme here at the end is about being proud and arrogant. He gives us a glimpse into his personal life when he admits to some sort of “thorn in the flesh”. We are not sure what this was. Speculation ranges from an ulcer, to a mental disability, to a physical deformity. What is was is beside the point, the fact is it has kept him humble and focused in service to his Lord. Paul wraps it all up in Chapter 13. I love his closing words, “Finally, brothers, good-by. Aim for perfection, listen to my appeal, be of one mind, live in peace. And the God of love and peace will be with you.” (2 Corinthians 13:11 NIV). In just a few sentences, Paul summarizes what it means to live the Christian life. Remember to read Isaiah like you just picked up the journal of the prophet. This week we will read entries that contain prophecies against Moab, Damascus, Cush, Egypt, Babylon, Edom, Arabia, Jerusalem, and Tyre. Isaiah will enter some songs of praise to God and deliverance of Israel. There will be woes to Ephraim, David’s city, the obstinate Nation, and to those who rely on Egypt. Chapter 36 begins a section of prose and gives some of the historical context for the prophecy. Keep looking for “The Holy One of Israel” as you read. SETTING: The most pressing controversy in the early church was the relationship of new believers, particularly Gentiles, to the Jewish laws. This was especially a problem for the converts and for the young churches that Paul had founded on his first missionary journey. Paul wrote to correct this problem. Later, at the council in Jerusalem, the church leaders officially resolved the conflict. LAW THEMES: The threat of subtle false teaching; hypocrisy; works cannot justify; the Law’s curse; works of the flesh; the Law of Christ. GOSPEL THEMES: One saving Gospel; God’s gracious call; justified through faith in Christ; the gift of the Spirit; adoption as God’s own sons; freedom in Christ. SPECIAL FEATURES: This letter is not addressed to any specific body of believers and was probably circulated to several churches in Galatia.